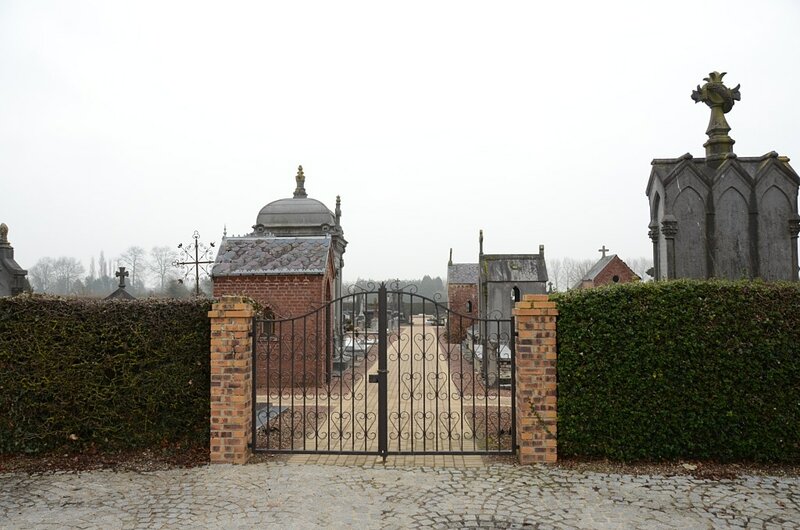 Feuquières-en-Vimeau Communal Cemetery contains one Commonwealth burial of the First World War and three from the Second World War. 7th June 1940, aged 20. 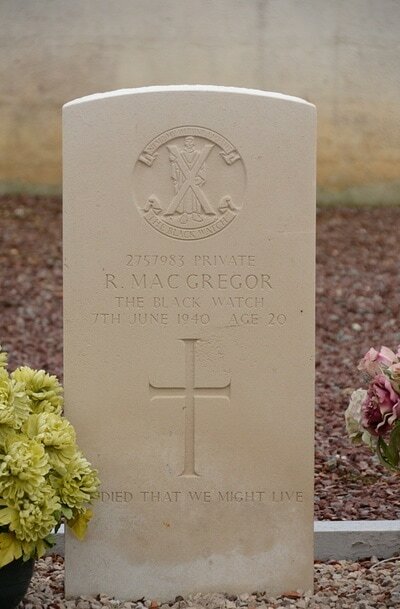 Son of William MacGregor, and of Bella MacGregor (nee Esson), of Arbroath, Angus. 6173 Private Thomas Cusack, 2nd Bn. 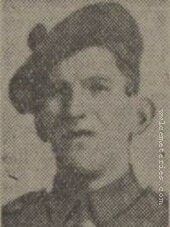 Royal Munster Fusiliers, died 24th October 1916, aged 38. 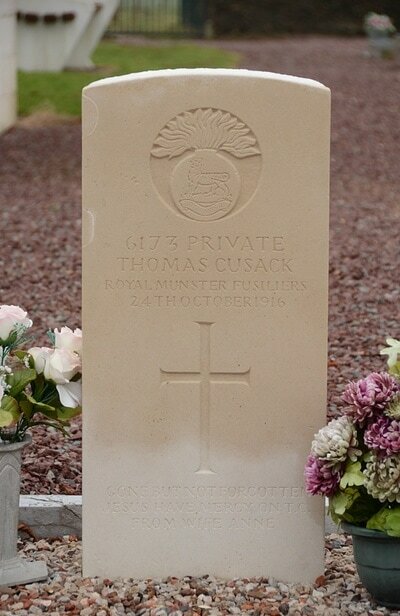 Son of Tom and Mary Cusack, of Glynn St., Kilrush; husband of Anne Cusack, of Pound St., Kilrush, Co. Clare. 4271379 Fusilier Joseph Donnelly, 7th Bn. 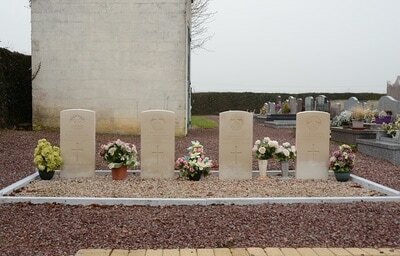 Royal Northumberland Fusiliers, died 30th May 1940, aged 20. Son of R.S.M. 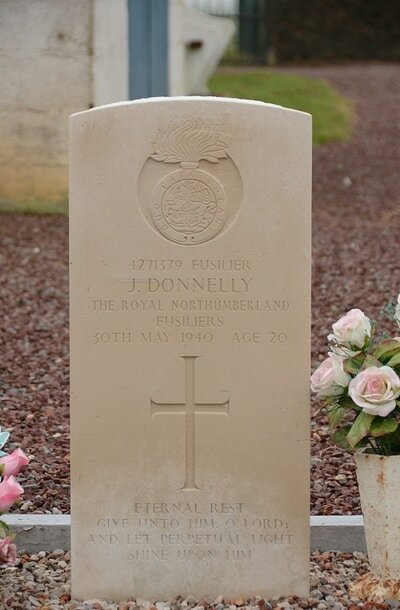 John Donnelly, D.C.M., The Highland Light Infantry (City of Glasgow Regt. 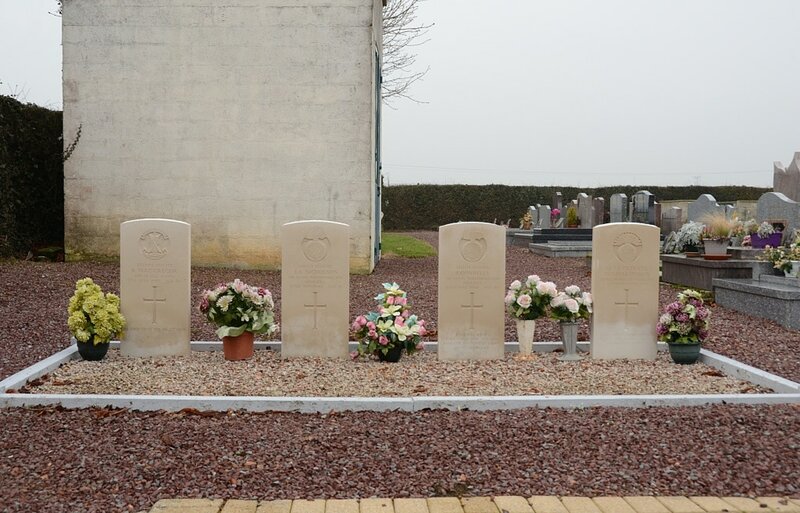 ), and Madeleine Donnelly, of Morpeth, Northumberland. 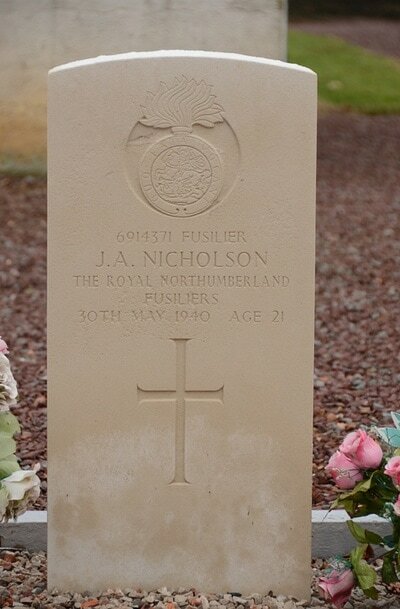 6914371 Fusilier James Arthur Nicholson, Royal Northumberland Fusiliers, died 30th may 1940, aged 21.